Leo Vazquez is a leader in two emerging fields in urban planning: creative placemaking and cultural competency. He has two decades of experience in community development, community engagement, small-group facilitation, local economic development, leadership development and strategic communications. He has worked with a wide variety of communities in New Jersey, California, Connecticut, Louisiana, New York and Pennsylvania. He is the author of Leading from the Middle: Strategic Thinking for Urban Planning and Community Development Professionals and co-editor of Dialogos: Placemaking in Latino Communities. He has written for several professional and general-interest publications, including Planetizen, Planning, Progressive Planning and The Star-Ledger. 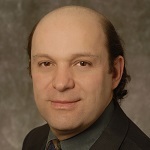 He is the recipient of the 2012 American Planning Association National Leadership Award for Advancing Diversity and Social Justice in Honor of Paul Davidoff.